Reports that Britain’s Prime Minister had “begged for help” with her Brexit negotiations at a recent private dinner in Brussels have sent the EU Commission rushing to safeguard relations with Downing Street. 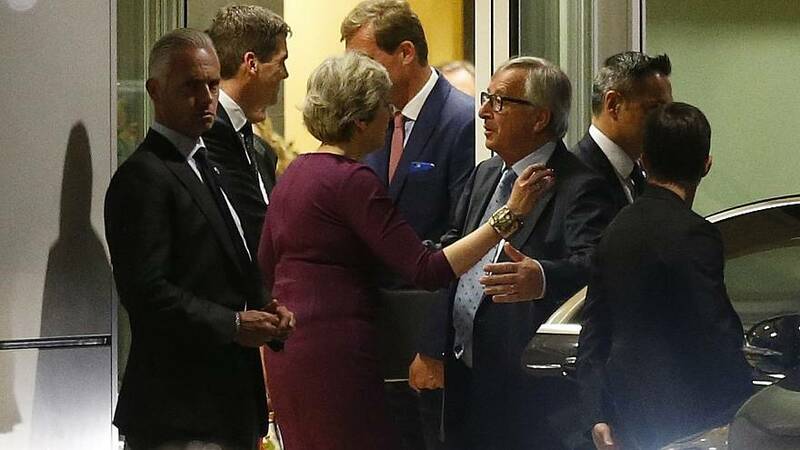 Jean-Claude Juncker quickly denied the claim and the Commission said it was a smear intended to disrupt the talks. An unsourced article in the German newspaper Frankfurter Allgemeine has suggested that Theresa May had appeared “despondent “and had spoken of having no room for manoeuvre back home. Juncker has said the comments attributed to him were untrue and that he had not spoken to the German press. Analysts have suggested Brussels is anxious not to appear intransigent and believes unnamed people are trying to undermine the Brexit negotiations. Downing Street has not commented but pointed out that both sides were of the view that the recent dinner and subsequent talks had been “constructive and friendly”.